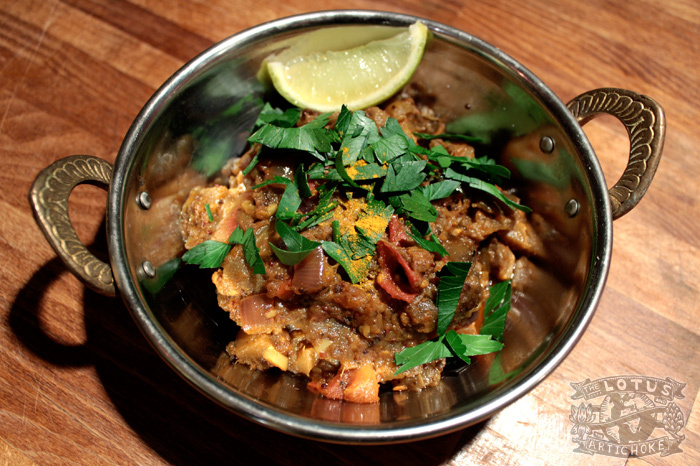 Bengan Bhartha is an incredible, spicy Indian eggplant puree. Similar to Middle Eastern baba ganoush, it’s traditionally eaten with flat bread. My North Indian pals would never dream of eating this dish with rice, but if you’re not a chapati master yet and want to enjoy it with some Basmati, I’m not going to call the Curry Cops.